Travel can be an exciting, enlightening and an eye-opening experience for children of all ages and what better way to educate your children about the big wide world than to let them see and experience it first hand? Travel experts have found that the most successful family trips are those where both children and parents are involved in choosing activities! Victoria Falls, being Africa’s adventure capital, is well-known for its variety of high and low adrenaline activities, which are fun for the whole family. Travelling with children does, however, add a different dimension to your trip and an added level of planning for parents to ensure that safety and activity needs are met. 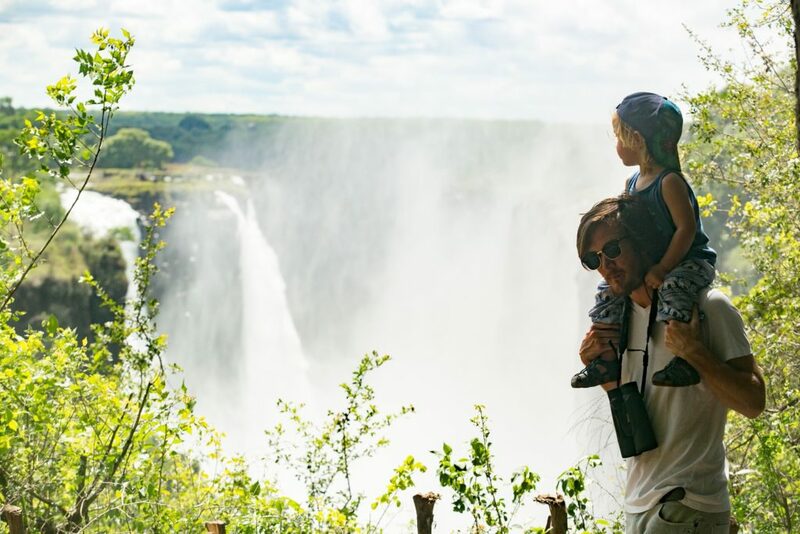 To save you some research on the must-visit Victoria Falls, we have listed our top pick of family-friendly activities to do. 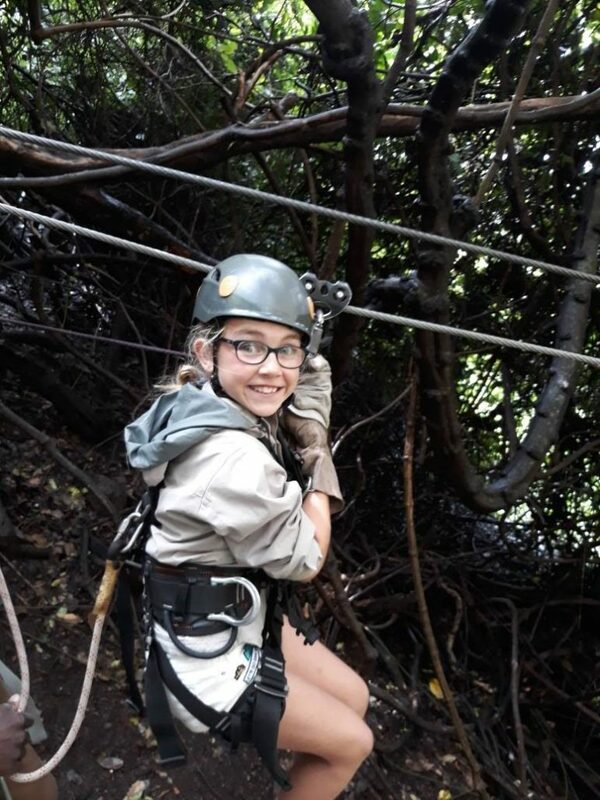 This is a great activity for children of all ages where apart from viewing one of the Seven Wonders of the World, they will experience and learn a lot about the natural rainforest that surrounds the falls, the birdlife and wildlife that reside there and of course the history of Cecil Rhodes. 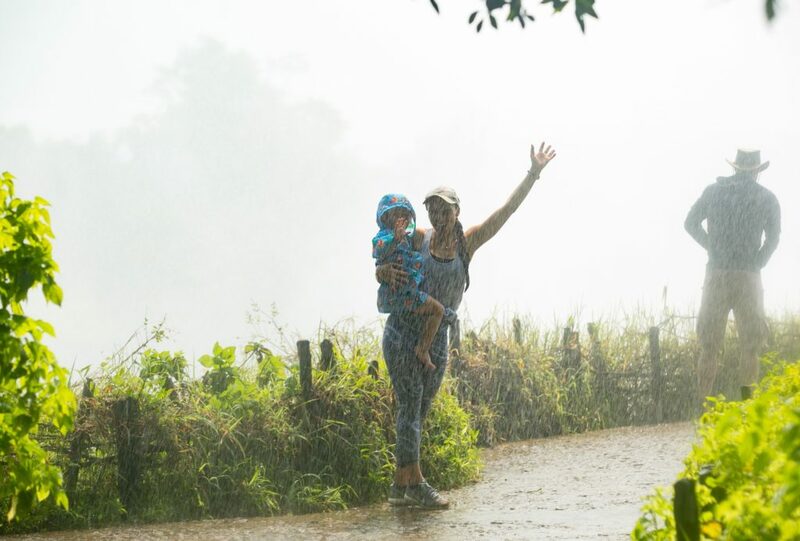 Due to the nature of the perennial rain in the rainforest, the paths are slippery and standing too close to the edge when viewing the falls is not advised so keep a close eye on your children. The best way to turn this activity into an educational experience is to go on a guided tour with a knowledgeable guide who will not only show you the best spots but also provide fun facts of the background to the Victoria Falls. Remember to collect your umbrella from the front desk to keep you dry or if you would like to try something fun, you can hire raincoats at the entrance to the Falls. Another memorable experience for the whole family is venturing out on a canopy tour which consists of nine thrilling slides, allowing you to explore the Batoka Gorge, by air! The age restriction for this activity is six years and above and will take approximately two to two and a half hours to complete. Fitted with harnesses and managed with staff who have decades of experience and concern for your safety, the canopy tour allows you and your children to navigate a network of slides, trails and walkways within the lush hardwood forest of the Zambezi Gorge, overlooking the mighty Zambezi River, the historical Victoria Falls Bridge and view of the Falls spray in the distance. This activity can be enjoyed by all ages and one which your children will remember forever! 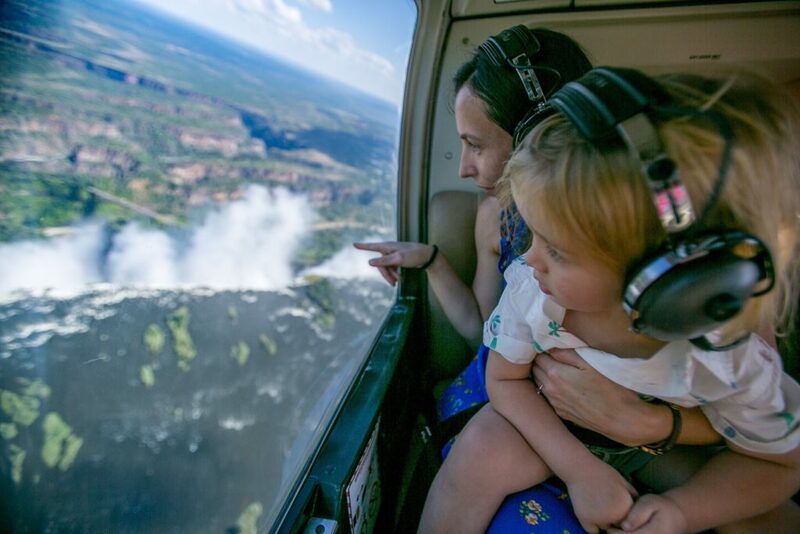 Book a 15 or 30-minute “Flight of Angels” helicopter flight which goes over the Victoria Falls, offering panoramic views of the Falls, the Zambezi River and of the two neighboring countries: Zimbabwe and Zambia. Apart from checking out the Falls in the most exciting way possible, you and your children can even spot wild animals roaming below, people rafting down the river and have a lovely perspective of the famous Victoria Falls bridge and the bustling little town below. 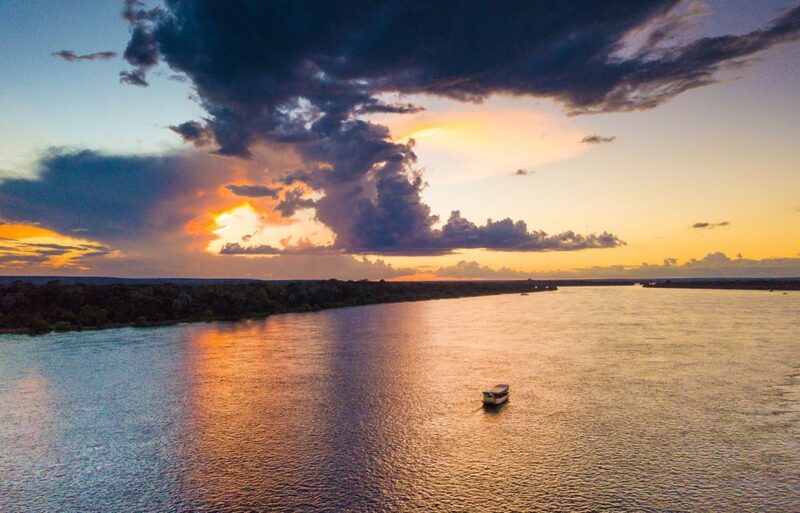 There are a variety of activities on the Zambezi River from canoeing to white water rafting, which are better suited to children on the older side of 15 years old. The best way for all ages to experience the Zambezi River and learn the most about it, is on a Ra-Ikane breakfast or lunch cruise. Our boat captains are fully trained with onboard safety and are a fountain of knowledge on all the wildlife and birdlife that can be seen during this two-hour cruise. The luxury and intimate boats are fully covered from the African sun and have bathroom facilities on board. This is the perfect way to sit back and relax for two hours and take in the beauty of your surroundings. In addition to being educational, safe and fun, the Ra-Ikane fleet can be booked out for your family at no extra cost and the menu can be tailored to suit your children and ensure energy and hunger levels are alleviated. This uniquely African experience will delight any child and even any adult’s senses! From a vibrant welcome with traditional dancers to face painting, drumming, dancing and an interactive dinner and show, you’ll certainly work up an appetite for dinner. All tastes are catered for with a wide selection of salads and desserts in the buffet area and then exotic local delicacies such as Mopani worms and game meats are also on offer (in addition to vegetarian options and beef, pork and chicken). It doesn’t end there…. All children under 3 are free of charge and children aged 3 to 12-year, pay half price! Travelling is a great way to expand your children’s world views and to offer a different perspective on life which is said to foster empathy and imagination. 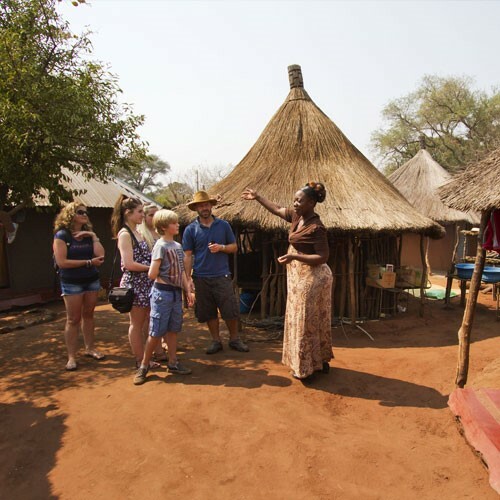 The tour of the quaint Monde Village in Victoria Falls explores the traditional lifestyle of the village inhabitants, their customs, culture, history and proving you with a glimpse of their daily lives. This tour is perfect for families and can be arranged at any time of the day, lasting about 2 to 2.5 hours including travel time. You can almost see the learning happening as the children meet other children and observe their interesting customs and culture. Victoria Falls, Hwange National Park and Chobe National Park are renowned for their incredible game drives and affords an opportunity to view a wide range of wildlife from giraffes, elephants and lions to even the occasional shy leopard. Using an open four-wheel drive vehicle, with snacks and drinks organized for the journey, game drives can take place in the early morning or mid-afternoon. 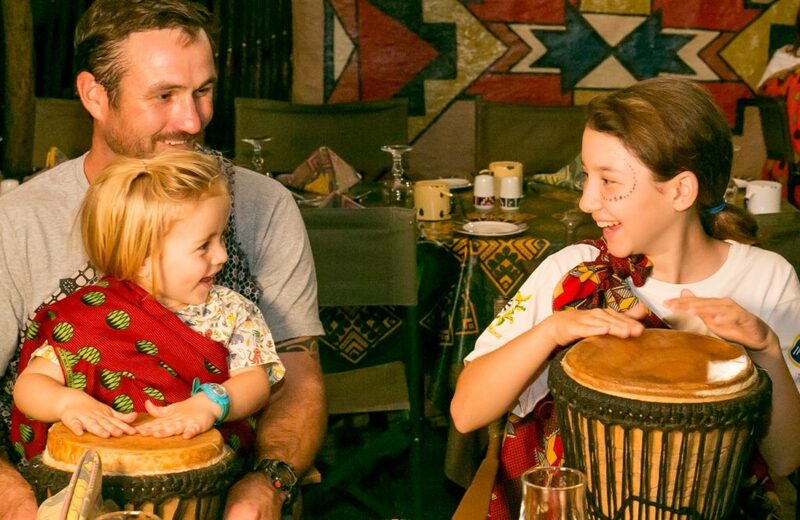 Professional and qualified guides will gauge the age and needs of your children and ensure that the game drive suits you and of course guarantees the highest safety. 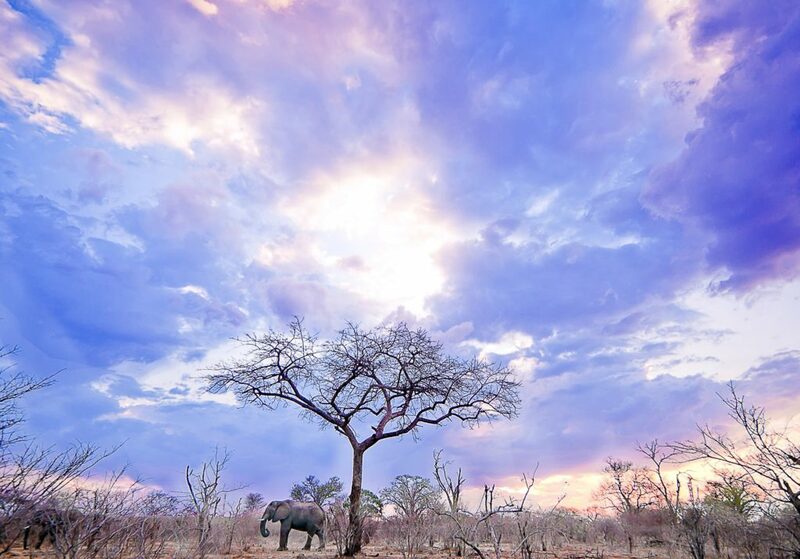 Your children spotting their first African elephant will certainly be a memory that will last forever! Travelling with teenagers is another topic all together where endless activities become available like gorge hikes, lion walks, canoe rides and white-water rafting. Victoria Falls is truly the perfect destination to build those priceless family vacation memories to last a lifetime and we look forward to sharing these with you.